We’ve been in the Fluid Handling Equipment industry for over 40 years and we’ve seen and contributed a lot to the evolution of pumps for a wide range of applications. So when our customers complained about melted marine AC coolant pumps and the problems they caused, we came up with a solution. We knew the solution was ‘run dry protection’ so we designed a marine AC coolant pump that could withstand thermal overload in the absence of a liquid flow. With a few design changes, some upgrades in materials, and testing, we created the KoolAir HVAC Cooling Pump. Economical Replacement Pumps for March LC-3CP-MD, March AC-5C-MD & March LC-5C-MD 115v and 230v Models. 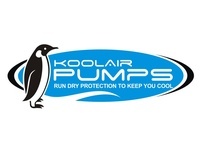 KoolAir Pumps - Run Dry Protection To Keep You Cool! The PM500 is magnetically driven pump, with no shaft seal. The pump is epoxy encapsulated, which allows the PM pump to run fully submerged in many liquids or in open air for complete moisture protection. When re-assembling the pump for service, make sure all “O” Rings are properly seated. See the repair parts list for a breakdown of replacement parts. Perfect economical replacement for March LC-3CP-MD Pump 115v & 230v. The TPM1000 is a magnetically driven pump with a Totally Enclosed Fan Cooled (TEFC) Motor that contains no shaft seal.The hardened carbon bushing allows for extended run dry time without any damage to the pump head. See the parts diagram for assembly instructions. Impeller may be trimmed to modify flows or compensate for liquids of higher viscosity. Perfect economical replacement for March AC-5C-MD Pump 115v & 230v. The PM1000 is magnetically driven pump with no shaft seal and the motor is Open Drop Proof (ODP). The hardened Carbon bushing allows for extended run dry timewithout any damage to the pump head. See the parts diagram for assembly instructions. Impeller may be trimmed to modify flows or compensate for liquids of higher viscosity. The SPM1000 is a magnetically driven pump with no shaft seal. The pump is epoxy encapsulated, which allows the SPM 1000 to run fully submerged in many liquids or in open air for complete moisture protection. The hardened Carbon bushing allows for extended run dry time without any damage to the pump head. See the parts diagram for assembly instructions. The impeller may be trimmed to modify flows or compensate for liquids of higher viscosity. Perfect economical replacement for March LC-5C-MD Pump 115v & 230v.